Did you know that one serving of matcha tea is the nutritional equivalent of 10 cups of regularly brewed green tea? When you drink matcha, you ingest the entire leaf and receive 100% of the nutrients of the leaf. Matcha powdered green tea has 137 times more antioxidants than regularly brewed green tea. 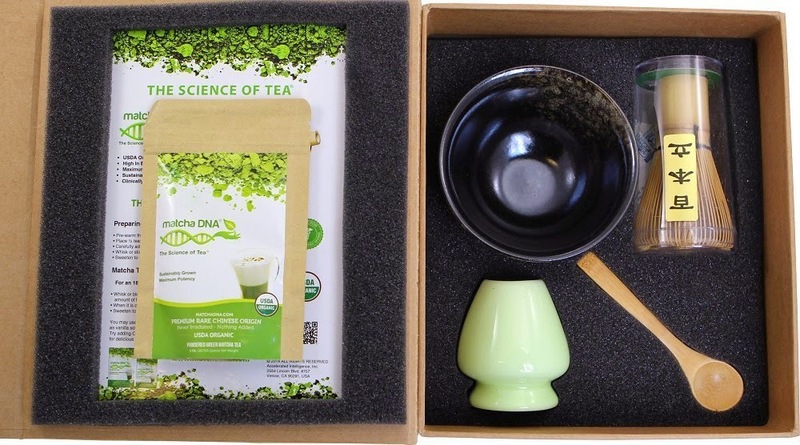 If you know a tea drinker who is new to the joys of Matcha Tea; this Matcha Tea Ceremony Gift Set by Matcha DNA is perfect for them because it includes everything they will need! Oma found the Organic Matcha Green Tea Powder’s taste to be both light and smooth yet a great substitute for my morning coffee. 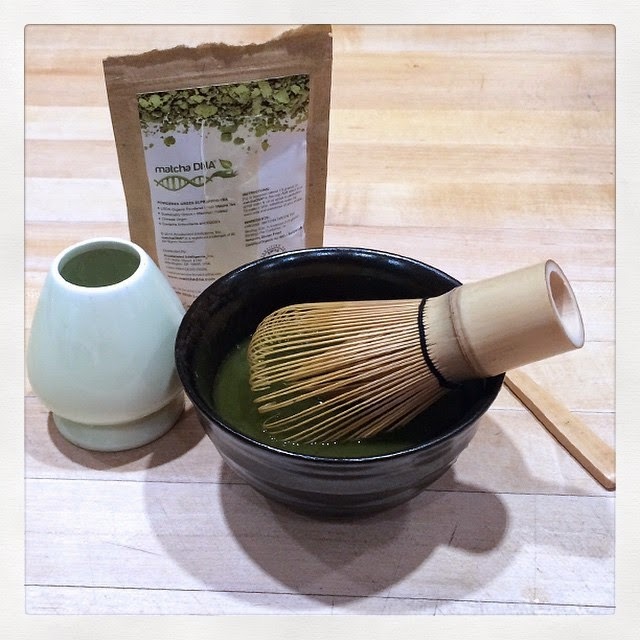 The handmade tea bowl and handcrafted bamboo tea whisk made this ancient Japanese tea ceremony authentic and fun. Tips: pre-heat your handmade Matcha Tea Bowl with hot water before mixing your tea; be careful to only use ½ teaspoon of the Matcha Green Tea powder – in this case more is not better. COMPLETE MATCHA TEA GIFT SET BOX: This beautiful Matcha gift set contains everything you need for to make a traditional cup of Matcha green tea. HANDMADE MATCHA TEA BOWL & CERAMIC MATCHA WHISK HOLDER. PERFECT GIFT ITEM. 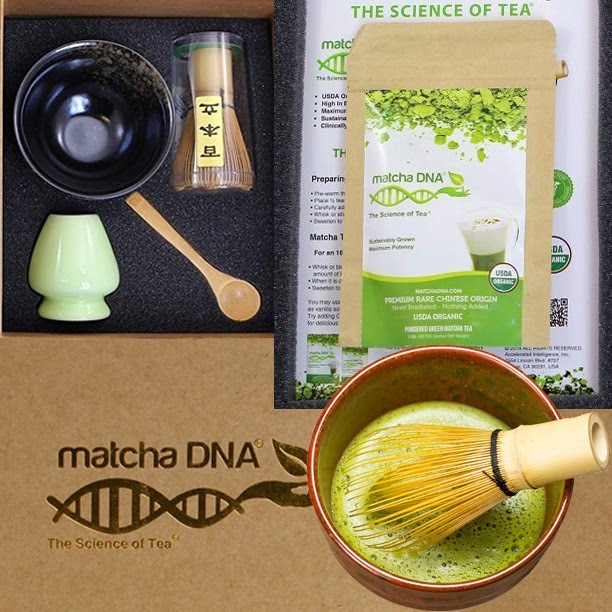 This Matcha Tea Gift Set is the perfect gift for family, friends & loved ones. These bamboo spoons are awesome! They are bit bigger than what I thought they were going to be, but that means that they will last longer! I don't see these breaking anytime soon since they are thick. The colors are very vibrant and the handles have a soft grip. I have broken many spoons when using them and I have put these through some heavy stirring activities and they haven't even as much moved.